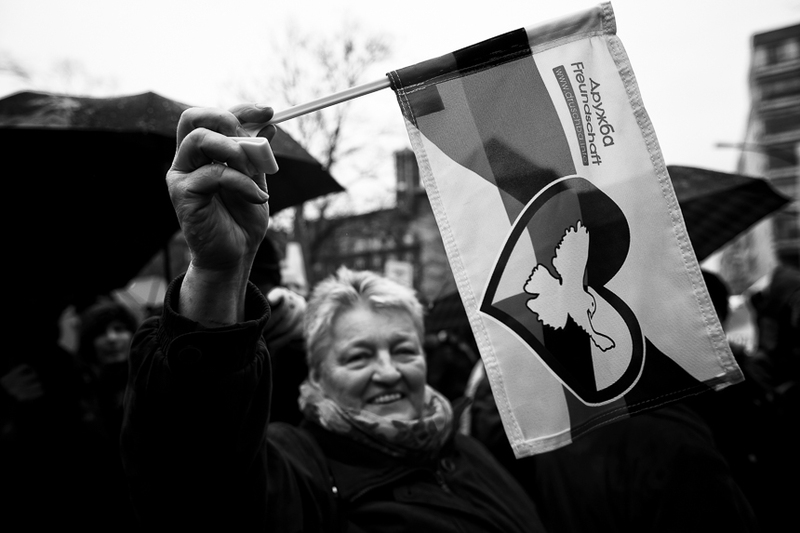 About 1,000 people attended the traditional Easter march for peace in Berlin. 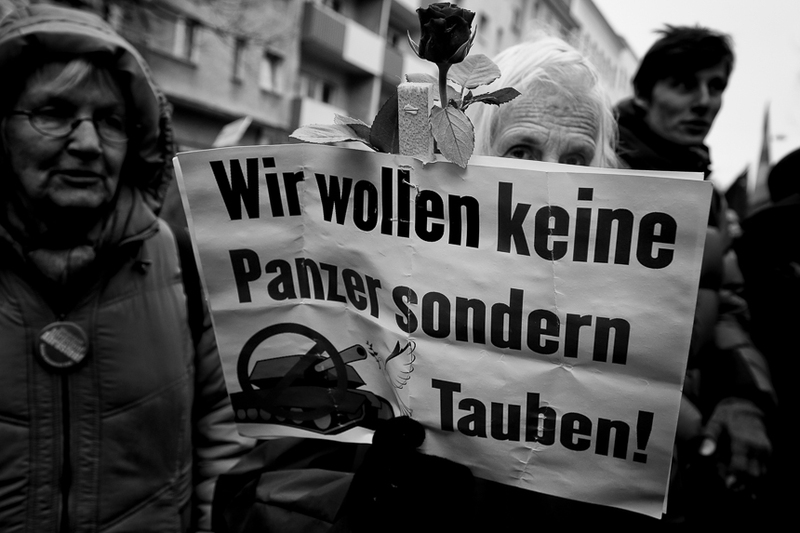 This year the march took place in Berlin's district Moabit. 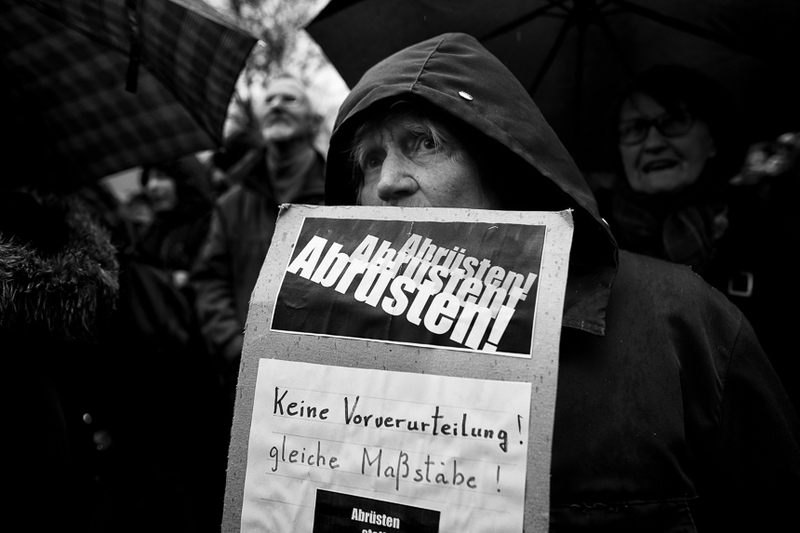 Among the participants were members of the Left Party (Die Linke), supporters of Russia's president Vladimir Putin and Syria's dictator Bashar al-Assad. 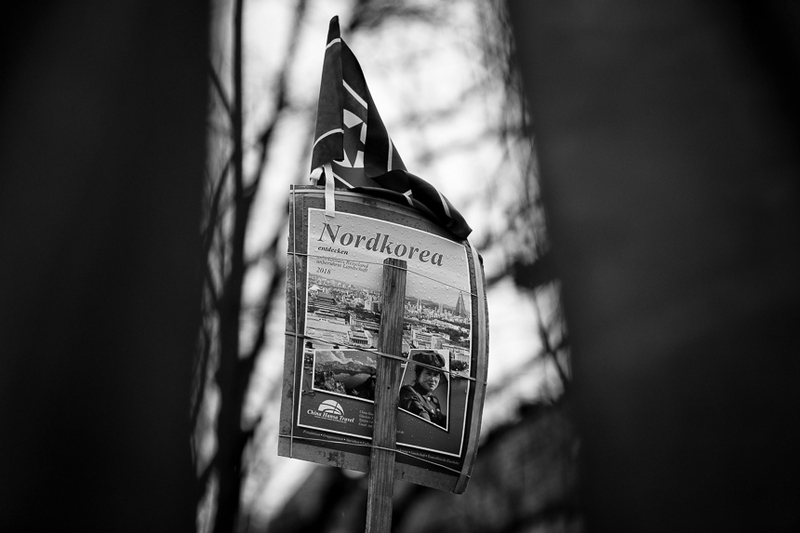 Also there were supporters of the North Korean regime. Far right activists joined the march. Anti-semitic symbols were used on signs. This year's speeches and signs again condemned the USA, the German Federal government and NATO but again remain absolutely in silence over the war crimes of Syrian Bashar al-Assad or the occupation of the Crimea by Russia and the engagement of Russian troops in eastern Ukraine. 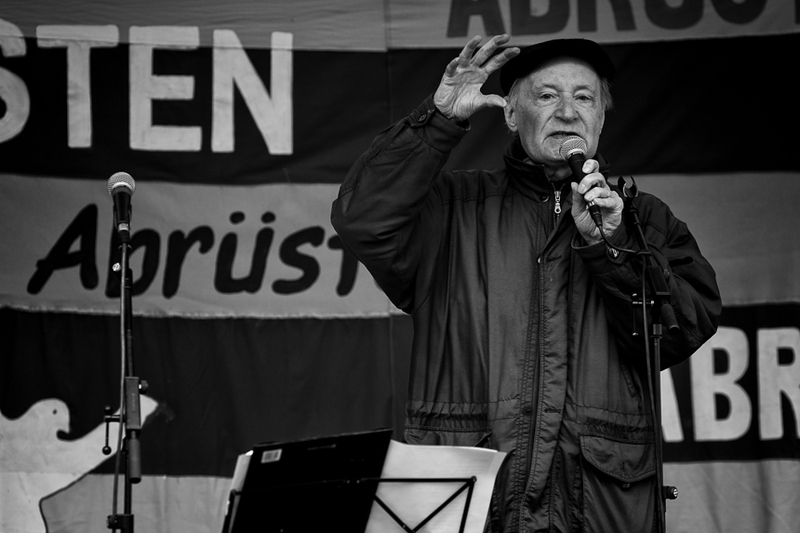 Among the speakers were MP Diether Dehm (Left Party) and theologian Eugen Drewermann, a peace activist for decades.